You have not yet created any primary taxonomy items for this review type (or you have but they are empty). Extreme Live Gaming, part of the NOVOMATIC Group of Companies, is delighted to announce and welcome BtoBet as its latest Live Dealer partner. 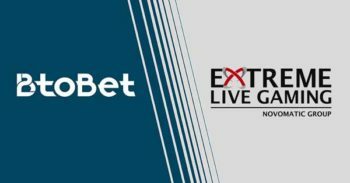 In an exciting partnership, Extreme will supply its games to BtoBet’s online gaming and sports betting platform from its London studios. BtoBet will be offering Extreme’s Roulette, Blackjack and Baccarat games. The Extreme Roulette suite features unique and exclusive NOVOMATIC-themed titles such as Book of Ra™, Sizzling Hot™, Lucky Lady’s Charm™, and Dolphins Pearl™. 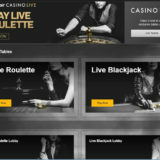 Broadcasting from its London studios and licensed in the UK and utilising HTML5 technology, Extreme Live Gaming also delivers social themed games such as Club Roulette and Golden Ball, an authentic land base casino Roulette through Live Box streamed for Casino Admiral Gibraltar, and a range of leading Baccarat and Blackjack products. “BtoBet is a particularly attractive and exciting partner for Extreme Live Gaming. At Extreme product innovation, application of new technology and the drive to allow operators to optimise their potential are our key motivations. “At BtoBet we are continually living up to our vision of delivering challenging and innovative technical solutions to our customers. Multinational BtoBet is a pioneer in new technologies for the betting industry. Its iGaming omnichannel platform and Sportsbook software can meet both, players’ and operators’ expectations. 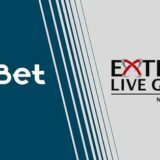 BtoBet’s platform is unique, customizable, advanced, secure, reliable, flexible and delivers unprecedented capabilities to drive Sportsbook and iGaming business. It also provides a deep cross channel-data analysis and automatic actions according to the player’s behaviour, preferences and channel in use. Leo Vegas has a great mix of live casinos. Evolution (with dedicated tables), Ezugi, NetEnt, Portomaso, Authentic Gaming & Luckystreak. There’s Live streamed Roulette from land-based casinos in Malta and Gibraltar, Italy Georgia & the USA. 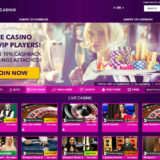 Mr Green live casino has games from 3 providers (Evolution Gaming, NetEnt and Authentic Gaming). With their own dedicated Blackjack and Roulette tables they are one of those casinos that have it all. Specific Live Casino Bonuses and promotions round things off nicely. 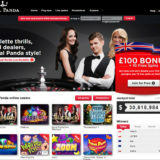 Royal Panda has great live casino games from Evolution Gaming. Their own studio has private Blackjack and Roulette table and you’ll see the Panda making a regular appearance. The USP that No Bonus Casino has is unlimited 10% Cashback on losses, delivered to your account automatically the very next day. With live games from Evolution this is a cracking combination. The Betfair Live Casino has it all. Dedicated tables, European and Asian Dealing rooms. Great promotions, good stake ranges and the ability to book a private Blackjack Table so you can play with your mates!